The new plan is the second of nine Regional Enterprise Plans to be launched by the Minister for Business, Enterprise and Innovation, Heather Humphreys to drive and continue enterprise growth in regions across the country. Deputy Heydon said: “Strengthening our regional enterprises is particularly important in the context of Brexit. “The new two year plans complement and add value to the ongoing work of the Enterprise Agencies, LEOs, Regional Skills Fora, and other bodies involved in supporting enterprise development in the regional setting. “The development of the Plans was overseen by the Department of Business, Enterprise and Innovation, working with regional stakeholders. My Fine Gael colleague, Minister Humphreys will launch the remaining seven regional plans over the coming weeks. What benefits other areas of the country will also benefit us in Kildare. “Crucially, they are ‘live documents’, which means new initiatives can be taken on board during their operation by the regional stakeholders working together. As a result, the plans will have flexibility and responsiveness at their core and can best meet the needs in Kildare. The plans are tailored for each individual region. “In addition, we need to ensure that the jobs being created are quality jobs and sustainable in the longer-term, in line with our new, whole-of Government plan, Future Jobs, which will be launched at the end of February,” Deputy Heydon said. There are 32,200 more people at work in the Mid-East today, and the unemployment rate has reduced from 9.6 percent down to 5.8 percent. Today’s launch of the Regional Enterprise Plan coincided with a sod turning by Minister Humphreys at the development of a new Mid East Regional Innovation Think Space (MERITS), which received over €1.9m in grant support under the Regional Enterprise Development Fund. The funding was announced in December 2017 under Call 1 of the REDF. MERITS is a new build project to cluster Irish and international new-technology companies, drive innovation, and provide mentorship and support, located in Naas County Kildare. The project is being led by County Kildare Community Network Company. The Mid East secured and additional €1.5 million in REDF under the Second Call of the REDF to develop the Boyne Valley Food Innovation District (BVID). The project aims to deliver smart specialisation through an innovation-rich building and accompanying stimulus project for the Mid and North East regions which will empower food and drink entrepreneurs, escalate their growth and provide the economic, physical, and networking assets to create impact of 250 new jobs, 50 new and expanding food businesses, 200 new/improved food and drink products, €25m per annum in new export sales, 900 entrepreneurs and learners with increased competencies and 60 interns delivering fresh talent and innovation. “Through this Regional Enterprise Plan, the Mid-East can adopt a leadership position through driving initiatives from the ground up,” Deputy Heydon said. 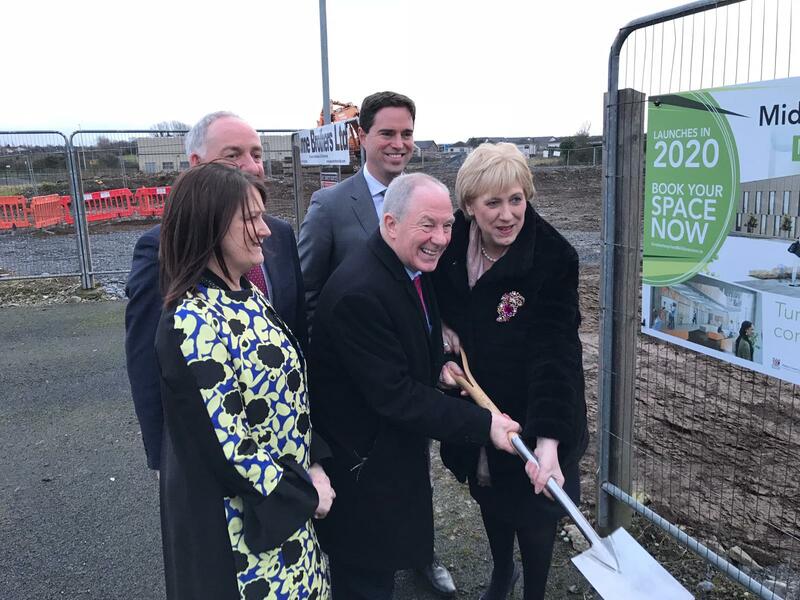 Minister Humphreys said: “Under Project Ireland 2040 Urban Regeneration and Development Fund, the Mid East will benefit from more than €13million in co-funding to drive projects in the towns of Bray, Naas, Arklow, Wicklow, Ashbourne, and Navan.